This is a sponsored article on behalf of Pact Coffee. You don't need a fancy expensive filter machine to make top-quality coffee. All you need is this nifty bit of kit — the V60 — and just the right coffee grounds. The V60 enables you to make 'drip brew' coffee — you've probably seen it in London's trendy coffee bars. It uses the same process as a filter coffee, but without the need for a machine. London start-up Pact is on a mission to help you make the best quality coffee at home. They deliver super-fresh, ethically-sourced, specialist coffee to your door. And they're giving away free V60 filter kits worth £10 for Londonist readers. Watch the video above to see just how easy it is to use the V60. 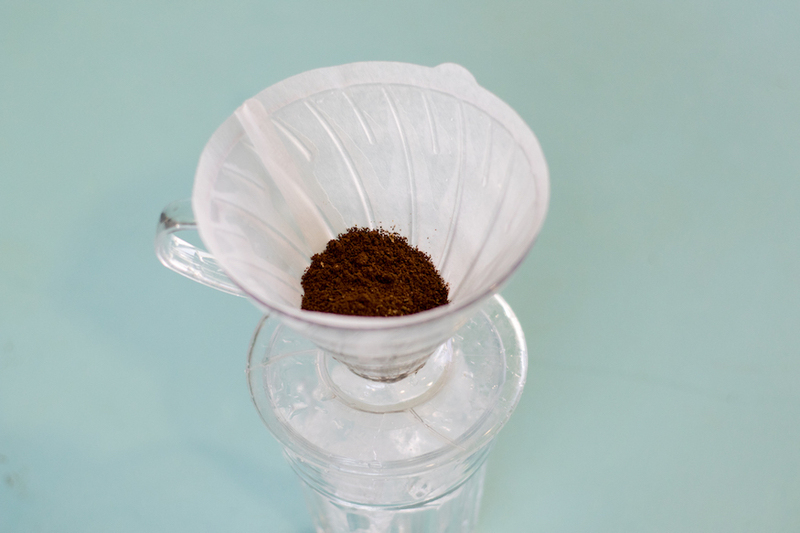 Making filter coffee at home without a machine is really easy with this V60. What's the secret behind making the best cup of coffee you'll have at home? It's that Pact do all the hard work for you. Their experts select the best, specialist coffee, and the company pays the farmers a good price. Pact use their years of knowledge to roast the beans to exactly the right specification to get the best taste. They even grind the beans to the right size for the method of brewing you prefer. In essence, Pact puts all the secrets that coffee professionals know, in your hands — without you needing to pore over books to learn any of it. Give it a try and see just how easy it is to make the the best quality coffee — at home, plus get a free v60 filter kit. Sign up today.